This special all-interviews episode digs deep into two killer games coming to the Nintendo Switch system. First, host Chris Slate talks to Suda51 from Grasshopper Manufacture about Travis Strikes Again: No More Heroes, then Chris is joined by Corey Rollins from Klei Entertainment to discuss Mark of the Ninja Remastered. Plus, Bill Trinen from Nintendo Treehouse stops by to chat about two tournaments happening during the same time as E3 2018: Super Smash Bros. Invitational 2018 and Splatoon 2 World Championships. 00:00 - Introduction 01:04 - Nintendo tournaments with Bill Trinen 04:30 - Travis Strikes Again: No More Heroes with Suda51 21:50 - Mark of the Ninja Remastered with Corey Rollins 47:13 - Signoff Games discussed have been rated Rating Pending to Mature by the ESRB. 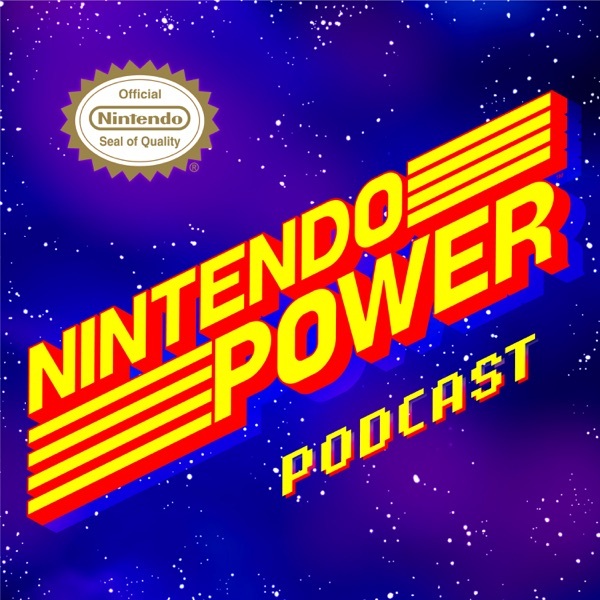 If you would like to share any feedback or ideas for the podcast, or submit a question to possibly be answered in a future episode, please email us at NintendoPowerPodcast@noa.nintendo.com. Follow Nintendo on Facebook: https://www.facebook.com/Nintendo/ Follow Nintendo on Twitter: https://twitter.com/NintendoAmerica Subscribe to Nintendo on YouTube: https://www.youtube.com/nintendo NO PURCHASE NECESSARY. US and CA residents only; 13+; access to Nintendo Switch system, Splatoon 2, and high-speed internet required. To participate, register by 4/21/18 at 9:00AM PT; visit https://battlefy.com/splatoon2, provide requested information and agree to Official Rules. Team captain must also register team. Qualifiers (single elimination, Turf War) will be held on 4/21/18 at 11 a.m. PT; top 8 teams (verified by Nintendo) will be eligible to advance to finals (double elimination, Ranked Battle) on 4/28/18 at 8:00AM PT. Each member of the first, second and third place teams will receive a prize. 1st Place Prize (to receive prize, at least 4 team members must agree to participate in Splatoon 2 World Championship 2018): Trip to participate in Splatoon 2 World Championship 2018 and attend E3, plus one (1) download code for Splatoon 2 DLC Octo Expansion (full game required to use DLC; sold separately) and (1) Pearl & Marina amiibo 2-pack (ARV $2,069). 2nd Place Prize: one (1) download code for Splatoon 2 DLC Octo Expansion (full game required to use DLC; sold separately) and Pearl & Marina amiibo 2-pack (ARV $45); 3rd Place Prize: one (1) Pearl & Marina amiibo 2-pack (ARV $25). Skill of participating players determines the winner(s). Details and restrictions apply; visit https://e3.nintendo.com/splatoon-2-inkling-open/rules for full rules. Sponsor: Nintendo of America Inc.
006 Special Episode from E3 2018: Super Smash Bros. Ultimate, Reggie & More! 008 Fighting Game Blowout, feat. Super Smash Bros. Ultimate!